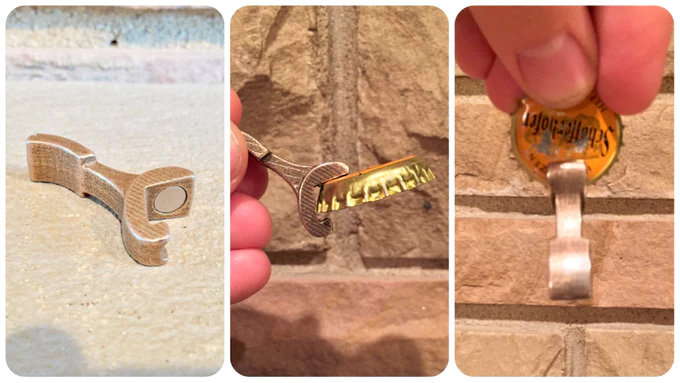 Sure we've featured a one-handed bottle opener before, but this one's extra cool, because it's so tiny, and because it's magnetic. 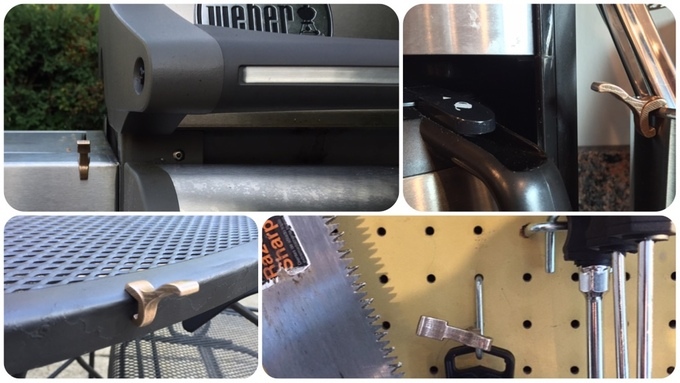 Using the magic of magnets you can stick the bottle opener to anything metal like your fridge, a lamp post, a table leg, etc, and then pick it up when you need to open your beer. Plus it will hang on to the bottle cap once you pop it off your beer so that it doesn't fall to the floor. Aptly named the 'Throttle Opener' because it kind of looks like a little throttle that you push forward, but also because the definition of 'Throttle' is 'The mechanism by which fluid flow is managed'. So, it all kind of makes sense. The tiny magnetic one-handed bottle opener is currently in a funding phase on Kickstarter with an estimated delivery date of November 2016, so go reserve yours now, and be sure to check out the Throttle Opener in action via the video below.